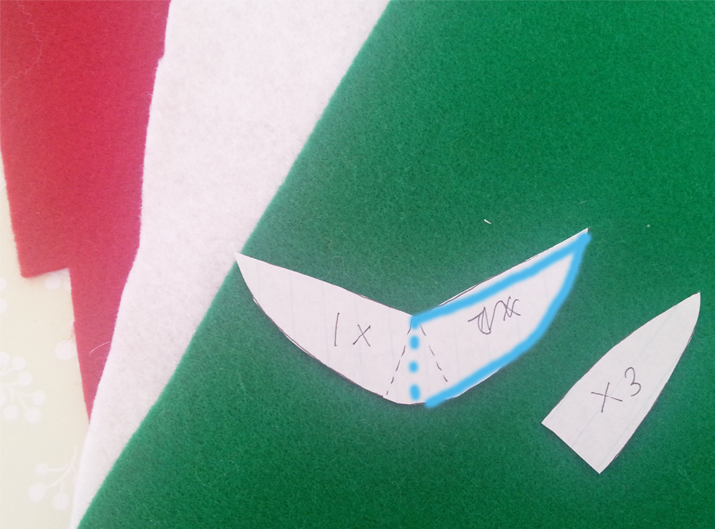 Basically, you want to fold the paper in half, and draw a triangle that will become your water melon slice + cut it out (try to round out the outer edge a bit) . 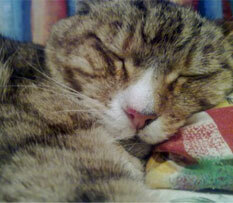 You can see in the image above that I have dotted in a little triangle where the fold is. 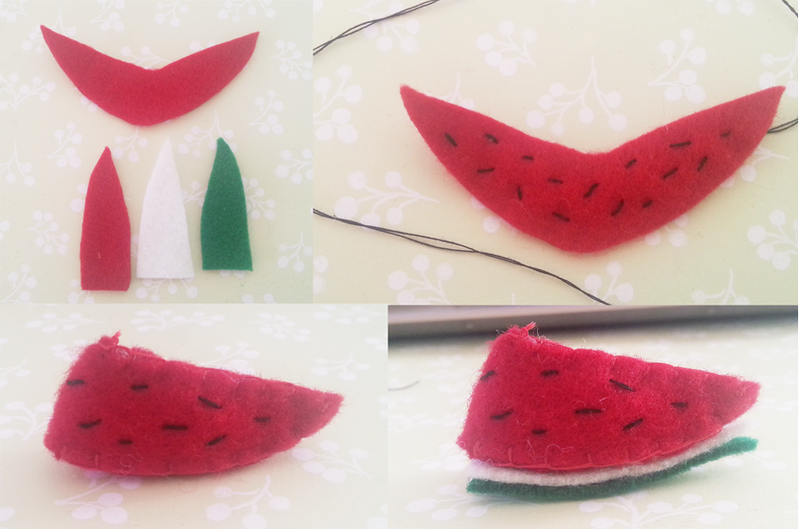 Instead of having your watermelon slice in a 2D shape, you will sew the watermelon in a way that will create a small triangle shape so you will get that back edges of the slice. Next, you will approximately draw another long triangle ‘slice’ that will become the base. 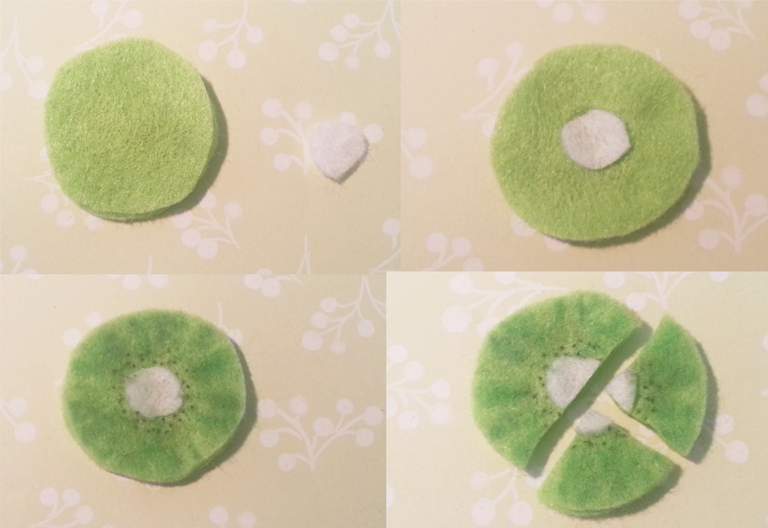 Don’t worry too much about accuracy because you can just trim the felt as you need to. Using red thread, sew along that top edge and then around the bottom , adding the base. 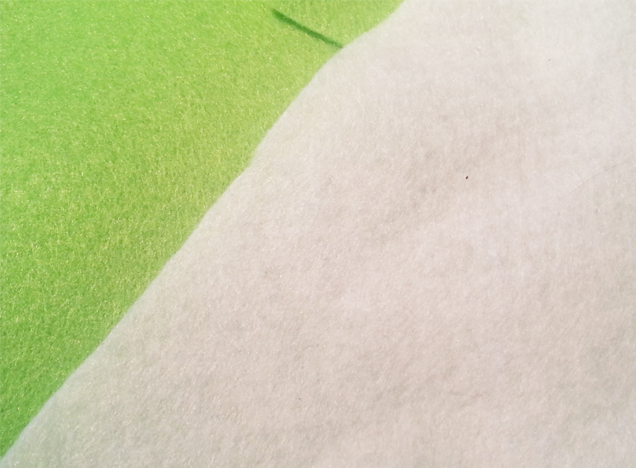 Then using glue, just stick on the base shapes, with white first and then green. If you want, you can also use a dark green marker to add some patterns to create that watermelon look. And thats it… hurhur easy ? So that’s really all there is to this. 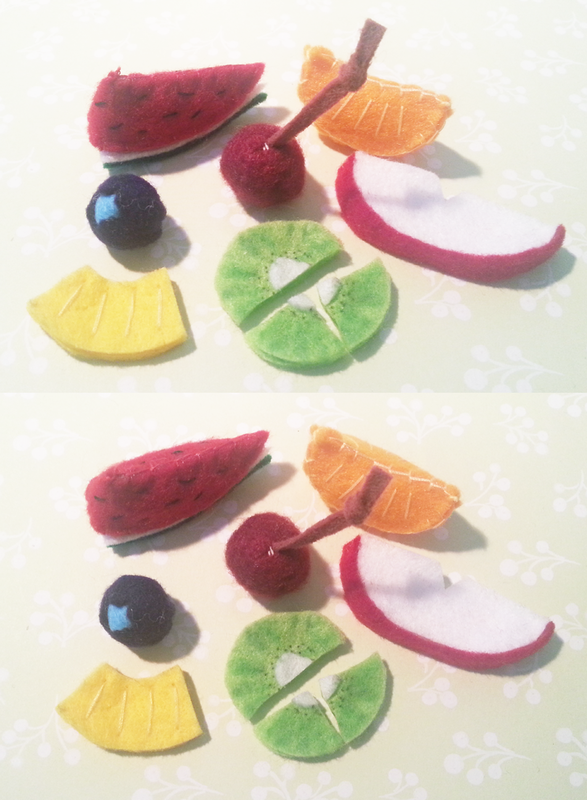 I believe this is the end to the fruits so next up should be some deco felt pieces such as tart bases and such.